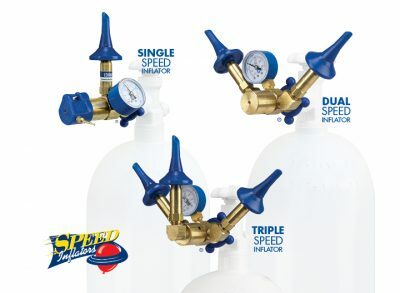 Work Up To Three Times Faster! 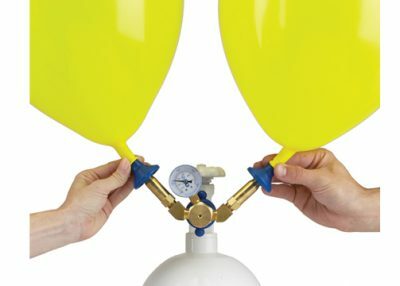 Conwin’s Speed Inflators are designed with high-flow fittings to allow for fast simultaneous inflation without distorting the shape of the balloon. 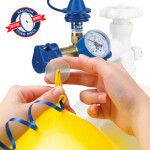 Inflators easily attach to the cylinder with a hand-tight connection and include a pressure gauge to measure how much gas is in the cylinder. 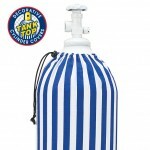 Speed Inflators are perfect for inflating large quantities of helium or nitrogen-filled balloons fast and efficiently. 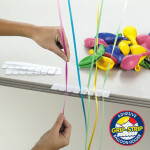 Great for car lots and balloon releases! 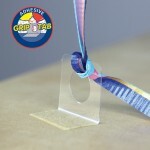 Place the latex balloon over the outlet and press downward until balloon has reached desired size. 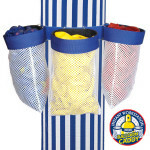 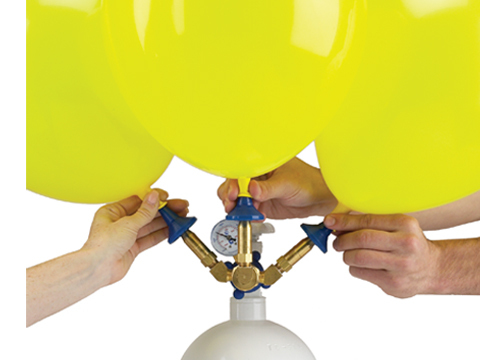 Depending on the model, allows between one to three workers to inflate up to 3 latex balloons at a time from one cylinder. Conwin’s Speed Inflators are designed to inflate balloons faster than the standard inflator.